Looking back, it is evident that 2018 has seen a lot of changes in the Myanmar legal framework. There is also a number of developments that can be expected in the near future. Until early November, foreign bank branches could only provide banking services to foreign companies, i.e., companies incorporated in Myanmar with (at least partly) foreign shareholding. In November, the Central Bank of Myanmar allowed foreign bank branches to provide banking services to local companies. This is expected to have a far-reaching impact on the domestic financing landscape and indeed, both foreign bank branches and local companies are expressing equal interest in doing business with each other. Companies are required to register mortgages and other charges created on their assets with DICA. While earlier, physical filing was a tedious and time-consuming process, as of early October, it is now possible for companies to register online in a matter of minutes, thanks to the MyCO website. Further, a Certificate of Registration of Documents would be issued taking as long as two weeks or more, which is now available as an automatic download, markedly improving the ease of doing business. The pipeline of infrastructure projects continues to grow. Notably, in the transportation sector (Yangon Expressway) and many Independent Power Producer projects kicking off, with 6 Notices to Proceed signed in 2018. The wholesale distribution sector was opened up to foreign-owned companies incorporated in Myanmar in May, with the government liberalizing foreign investments, subject to requirements on minimum investment in capital. Foreign ownership of condominiums has become a reality, and it may now be possible to open new registration offices and assign registrars for condominiums. The next step is the formation of Management Committees responsible for issuing licenses to developers, certifying developments as complying with requirements under the law and ensuring condominium land is collectively owned. Another noteworthy development is the discussion regarding a new Apartment Law which is currently in the stages of negotiation amongst all stakeholders. With regard to oil and gas, the government has published a draft bill on ‘petroleum exploration, drilling and production’, which is being considered in the parliament and is intended to apply to both offshore and onshore activities. This bill is intended to repeal outdated regulations and follows the Mining Rules issued in February and it is hoped that it shall provide additional transparency to the natural resources sector in Myanmar after the country joined the Extractive Industry Transparency Initiative. Upstream activities have so far been primarily governed by the terms of the production-sharing contracts (“PSCs”)). The draft bill provides for maximum time limits for each type of activity (notably, a maximum of 20 years for the production period, which could only be extended for two periods of five years each). It also formalizes the need to conduct tenders prior to awarding the blocks. One notable change is that the draft bill allows different modes of cooperation with the private sector. In addition to production sharing, the parties will also be able to opt for profit sharing or more traditional joint ventures. The same move was included in the mining sector in 2015. As of late October, Myanmar is all set for antitrust regime, attracting potential investors in the improved and more competitive environment. The Myanmar Investment Promotion Plan, a joint initiative of by Myanmar Investment Commission and Japan International Cooperation Agency, was launched in early October with the stated aim of attracting investments totalling over US$200 billion in the coming 20 years. Finally, in a welcome move, the tax filing system will soon migrate online with the launch of the Integrated Tax Administration System and e-payment services. 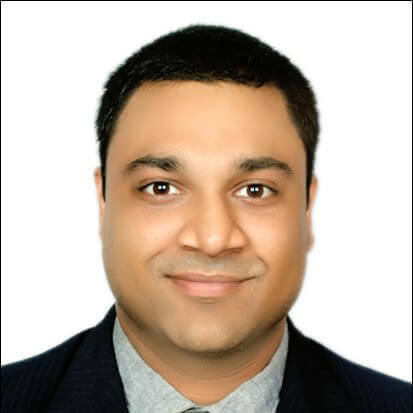 Vishrut Jain is an Indian qualified lawyer and a senior legal advisor in our Banking Finance team. With over 6 years experience in the financial services sector, he has handled several high-ticket transactions and assists both domestic and international lenders (including IFC) as well as corporate borrowers with their financing in Myanmar.